When you’re in need of a little vacation, but don’t want the hassles of traveling or the financial stress of expensive airfare, a local staycation is just the thing to offer some quality family fun time. 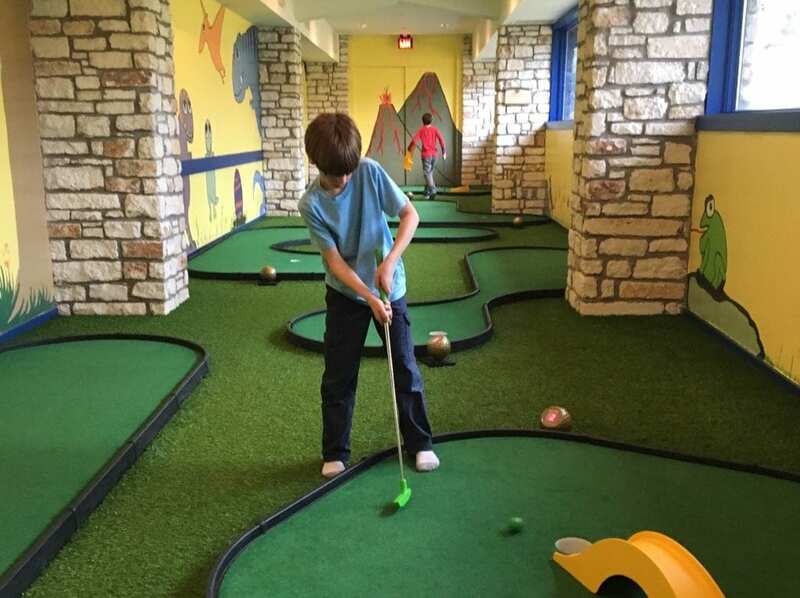 We recently took the kids to the Lakeway Resort and Spa for a weekend experience full of rest & relaxation for adults, but also plenty of fun activities to keep the kids highly entertained. Read on about our scenic escape and scroll below to enter to win a family staycation package! 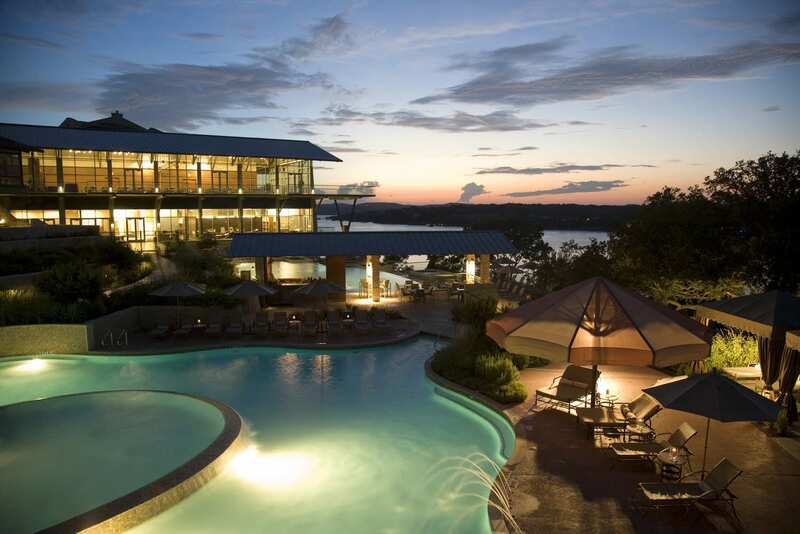 The Lakeway Resort and Spa is situated on the shores of picturesque Lake Travis. Just about 20 miles from Central Austin, the drive to the resort was so quick and easy, but as soon as we arrived we felt worlds away. Immediately welcomed by friendly and helpful staff, we checked into our room with a lovely balcony view overlooking the peaceful water. 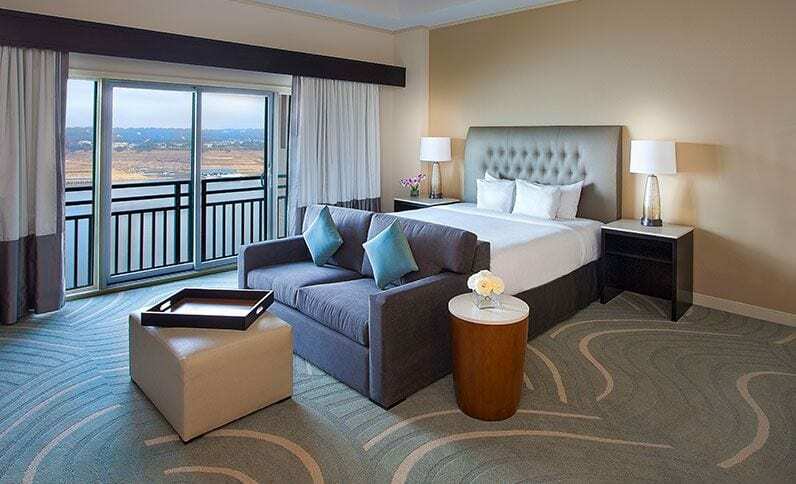 The 168-room resort offers a variety of modern rooms with clean-lined furnishings in soothing colors that complimented the lakeside setting. After setting down our bags, we were eager to get out and explore the grounds. Known for being very family-friendly, we were off to check out all that this resort offers for kids. Let’s start with the pools! There are three large freshwater swimming pools overlooking the lake. One is for grown-ups and has a swim-up bar, another is equipped with a volleyball net, but the most exciting one for kids includes a water slide and play features. It’s also heated! So despite the fact that we were visiting in February, we happen to get lucky with fairly warm weather with perfectly warm water, and the great opportunity to splash and play in this custom pool for children. Take note that there’s also a large jacuzzi where moms, like myself, can totally melt their cares away in a “Calgon, take me away” moment of zen. On to the Kids Zone! The former ballroom of the resort is now fully decked-out as a HUGE kids play room. There’s indoor mini-golf, a variety of indoor inflatable bouncy houses, ping-pong, air hockey, foosball, crafts, board games and toys, a t.v. playing a stream of kids’ movies, and an area for toddlers. There are plenty of games in there to appeal to a wide-range of ages. While adults can surely stay and play with the kids, you also have the option to drop off your potty-trained kiddos (ages 5 & up) for up to a 2-hour time span per day during your stay. So the kids can play while you head to the spa or go read a book, or take a nap, or enjoy a leisurely meal. 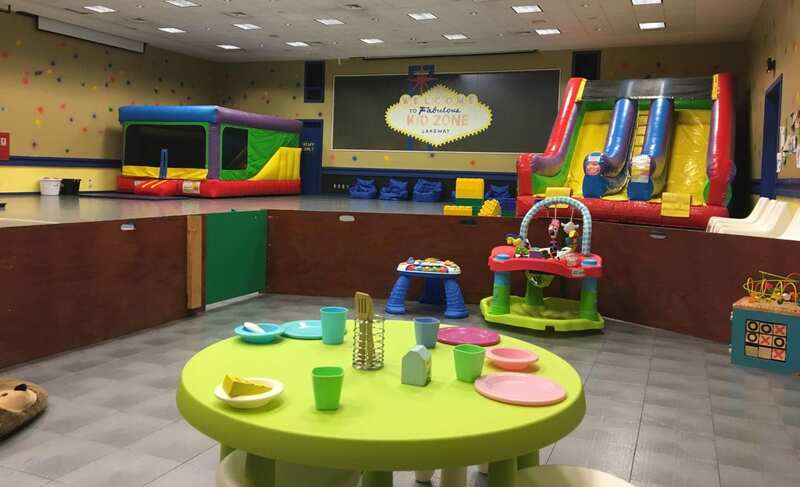 Whatever you choose to do with your time, the Kids Zone offers a wonderful bonus for some adult quiet time. We worked up an appetite. The on-site restaurant, the T.R. 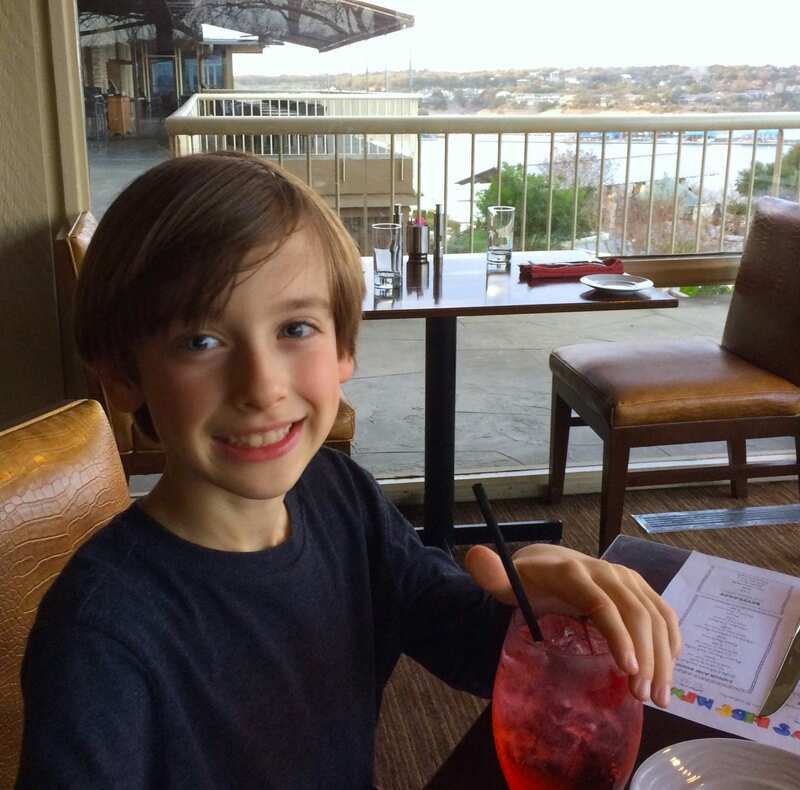 (for Travis Restaurant) features a moderately upscale style (our kids deemed it “fancy”) with perfect views of the lake. The menu includes a variety of dishes, sandwiches, pasta, steaks, seafood and more. The children were satisfied with the kids menu selections (spaghetti marinara, cheese burger, chicken tenders, etc. ), but mostly excited because they ordered Shirley Temple mock-tails, and our friendly server brought extra cherries. We had both dinner and breakfast here, and the kids were impressed by the seemingly endless breakfast choices and said everything was delicious. In addition to the T.R., you can order room service, order food poolside (seasonally) or enjoy happy hour at the Back Porch lobby bar. 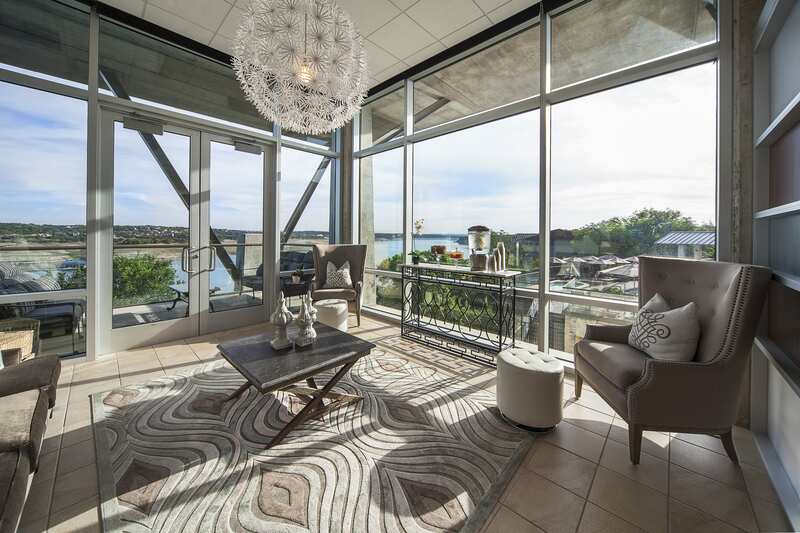 If you chose, you can also venture off-site to a nearby restaurant in Lakeway. Self-parking is free and plentiful, making it easy to come and go as you choose. 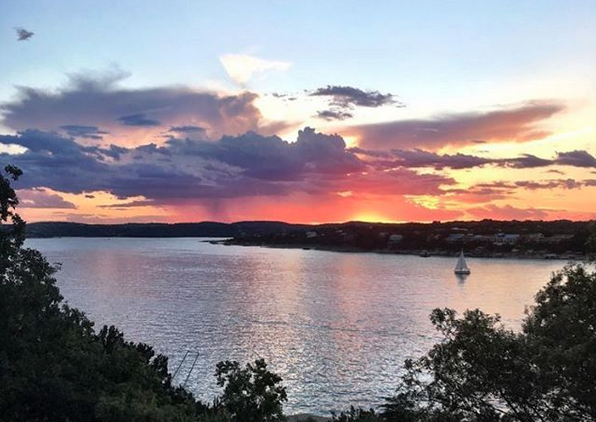 More amenities to explore: Lake Travis is offers such a variety of outdoor activities that we ran out of time to experience on this quick trip. But we can’t wait to head back in the summer for the water activities. The Lakeway Marina offers jet ski and pontoon rentals, or you can choose to go sailing or take a sunset cruise. 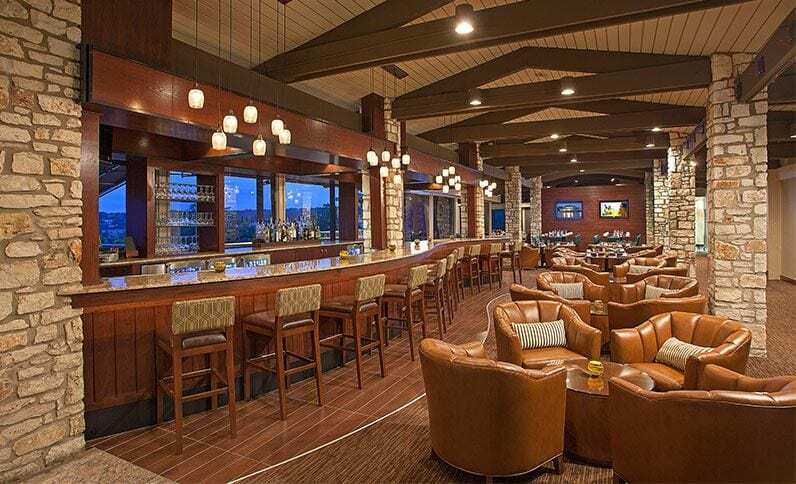 For the golfers, there’s a few golf courses nearby to choose from — Flintrock Falls Country Club, Falconhead Golf Club, or the Lakeway Country Club. And of course, the boutique Spa at the resort offers plenty of soothing treatments, all housed in an upper level section of the resort that has floor-to-ceiling windows in the men’s and women’s lounges that give the feeling of floating over the water. 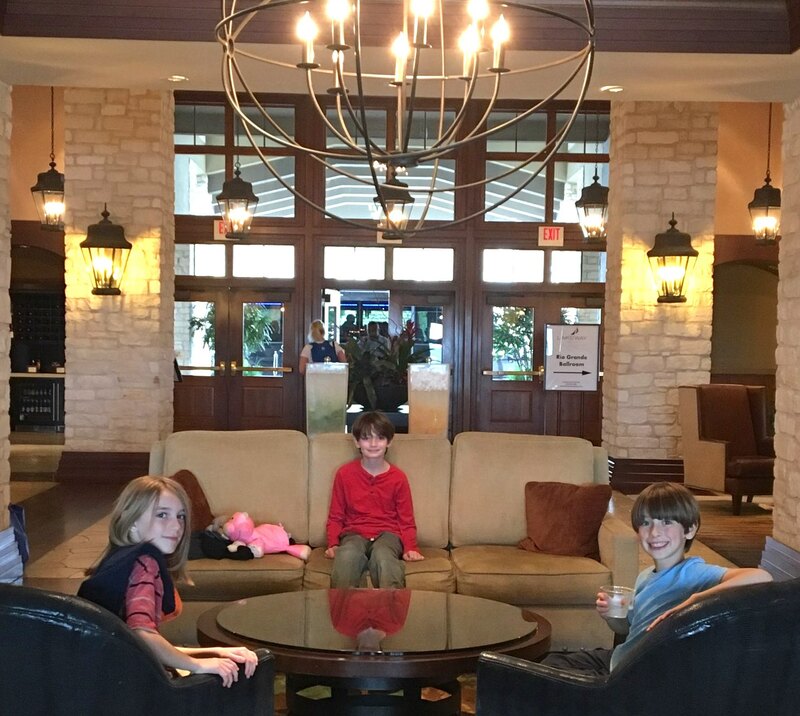 We felt relaxed and recharged after a visit to the Lakeway Resort and Spa. We were impressed with the friendly staff, comfortable accommodations, and variety of activities. We loved that it was both convenient and kid-friendly, but also felt like a luxurious getaway. We definitely plan to return for a future weekend, spring break or summer vacation. You can learn much more about the resort by visiting their website, and follow on Facebook and Instagram for plenty of photos. Be sure to sign up for their email newsletter to be the first to know about exclusive discounts and special offers. Your turn to get away! We’d love to share the experience with a lucky reader! 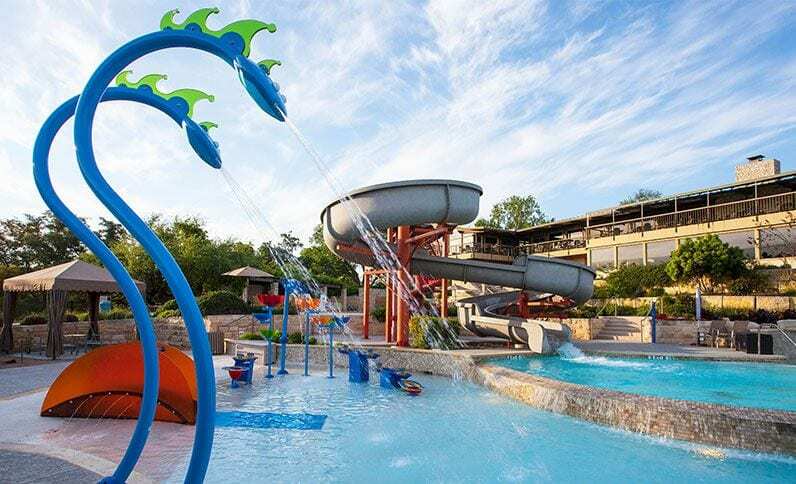 The Lakeway Resort and Spa has generously provided a staycation family package giveaway that includes a night’s stay for a family of four and a $150 dining credit to the T.R. restaurant. Please enter below! Good luck! By entering the giveaway, you’ll be added to our twice-weekly email list where you’ll get all the latest on family fun in Austin. Laneway Resort and Spa is an Amazing place if love to bri g my kids for a staycation!